John Goodman is the most experienced person among the only 4 actors here. However, fans of the charming devil guy Bradley Cooper also shall not remain indifferent – his voice is here, though he in body does not. Tell Him by The Exciters set interesting music theme, the same as Venus by Frankie Avalon. The creators of the film & music skillfully play on the contrast, when the gloomy plot completely over-covered by the sunny, positive, light-hearted lyrics in melodies. Tommy James & The Shondells made melody in the style of The Beatles, with positive lyrics. From this, the feeling of reality rises stronger. It is sci-fi with horror elements, kidnapping, thriller, involving such support as the alien invasion, war and deadly to humans gas and various acids. The strong interweaving of stories reminds two fantastically entertainment films War Of The Worlds with phenomenal actor Tom Cruise (by the way, this film partially repeats plot moves of the named film) and the Edge of Tomorrow with Tom Cruise again. 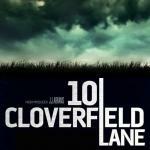 Cloverfield, collecting a good box office, was part 1 of this film and expected part 2 here, during the filming process was conceived as an independent film, but then was organically interwoven into Cloverfield’s world. The film has already paid for itself in the first days of rentals, and the viewer should expect soon the 3rd part, the final element, which we hope will tell what will the Terrain forces undertake to stop the alien invasion. Trailer does not convey the story, but partially reproduces the state of detachment that will haunt the surviving heroine for all the screen time.